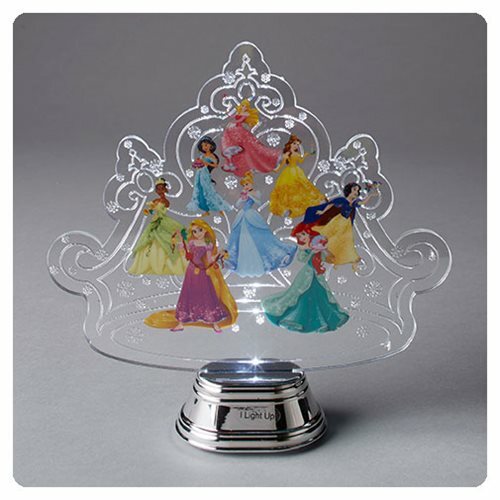 The Disney Princesses Crown Holidazzler is sure to please Disney fans and will make your holidays sparkle with fun, memories, and excitement. The Holidazzler is made of plastic and measures about 7 1/4-inches tall. Requires 2x "CR-2032", batteries included.